Here is another design study (independent of Mitsubishi) by Gabor Farkas who has imagined a revival of the 1997 Galant EA as the new Mitsubishi GalEA four-door coupe. This design study uses the main stylistic cues of Mitsubishi's new 'jet-fighter' design language, as the former EA model helped inspire that current paradigm, and which Farkas also employed on his Mitsubishi Concept CS recently (also an independent study). At the front are also some design elements borrowed from the Mitsubishi Concept RA which debuted in at the Detroit auto show in 2008 but the rest of the body has unique waving horizontal lines that Farkas also used in the CS Concept. The proportions of the car and its wheelbase are designed for a front engined, rear-wheel drive car. 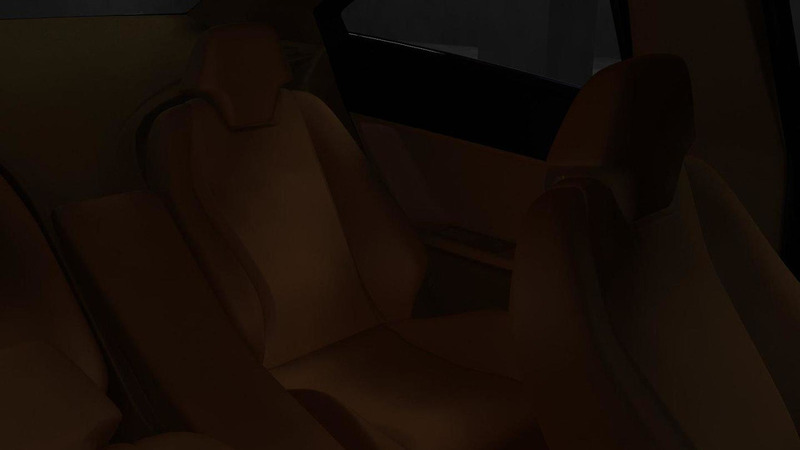 Farkas also gives us a full on interior rendering too with premium materials and four individual seats used to deck out the cabin. The dashboard styling looks realistic enough as well, as if it were a properly finished concept vehicle. The name Galea is an abbreviation of Galant EA but Galea also was the name of the helmet worn by Roman soldiers during the reign of the Roman Empire. We thank Gabor Farkas for this exclusive.